If you live in northern Virginia and are searching for a landscaping company for fall cleanups, call on the service that has been keeping Virginia lawns and landscapes healthy for over 40 years. Complete Lawn Service in Alexandria offers a full suite of landscaping services, and our professionals are here to help clean up your landscape and prepare it for the winter months. Piles of leaves all over the lawn may be a pleasant sign that it’s football and pumpkin spice season. But they’re a big hassle to clean up and shred on your own. Worse yet, if you don’t clear out leaves from your lawn and flower beds, they can become a nesting place for pests to hibernate through the winter. Our crew can take care of leaf removal for you at a fair price, and keep your lawn clear of debris and in healthy sunlight as much as possible. 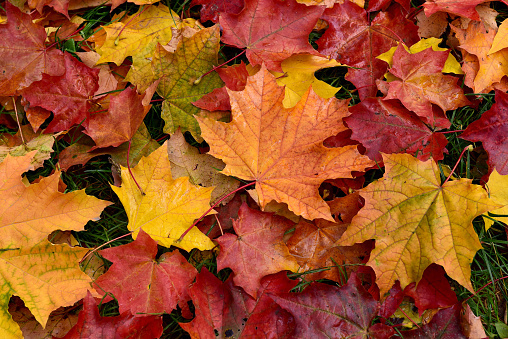 In addition to leaf removal, we offer a suite of services to help keep your lawn healthy through the winter months. We keep your trees trimmed to keep you from cleaning up weak branches that have fallen off. We can fertilize your lawn to get it through the colder months. We can break up and aerate your soil, so that your grounds get fully fertilized without water pooling. And we offer a simple and effective winterization service for your sprinkler system, so to keep it from freezing and cracking. Fall is the time to prepare your lawn and landscape for the cold winter and for a beautiful revival in the spring. When you need a landscaping company for fall cleanups, call on the service that does it best. Contact Complete Lawn today to get an estimate on any of our fall cleanup and winter preparation services. We look forward to keeping your outdoor space beautiful and healthy year-round.